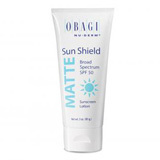 Shields and protects the skin not only from UVB, UVA II and UVA I rays. 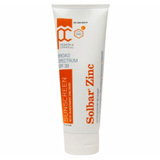 Contains patented micronized and transparent zinc oxide plus UVB sunscreen agents. An excellent base for makeup. Hypoallergenic – does not irritate the skin or eyes. Extremely water resistant and unscented. Powered by EnviroScreen™ Technology, this all-powerful, all-mineral skin shield provides total protection in one convenient, on-the-go application—alone or over makeup. 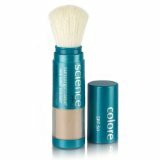 The highly refined mineral formula offers everyday broad spectrum UVA/UVB protection with a hint of color for all-day touch-ups.